The beginnings of Queen of the South’s history is from the post WW1 merger of three clubs. One of these was the works side of the Arrol-Johnston Car Company at Heathhall on the edge of Dumfries. Arrol-Johnston provided two of the best players ever to pass through Palmerston in Queens colours - Ian Dickson and in particular Dave Halliday who had a tremendous career as one of the genuine all time great goal scorers in UK football history. The rich heritage of the region in the motor world has continued to this day. 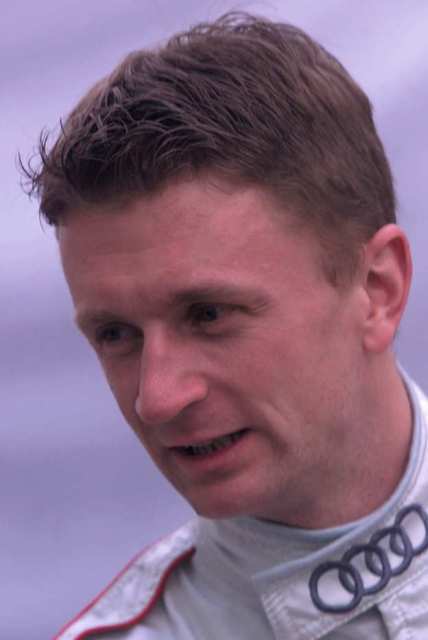 Following on from part 1 of our interview with race ace, Allan McNish, here’s more from the man himself. “I wasn’t here, I was in America when the game was on when they were in the final, lost to Rangers. But my dad, who’s got no interest in football what so ever, absolutely none; But he went to one of the games in the lead up, and he got into it because he enjoyed the buzz of it. And he was the one phoning me up telling me how things were going and everything else, in the semi, not even the final. I think also it’s difficult to appreciate, difficult to quantify, the effect on a local area that positive, successful sport has got." Doonhamer baby boom nine months after May 2008? When you say the local council, D&G? "Anybody we should watch out for?"